Recently I modified the closure of the large purse pattern so that it would hang nicely when displayed at quilt shows. So many gals have commented that they liked the added snappy closure so here are the instructions to add this to your existing pattern. ​Video demo on how to make continuous prairie points using the 3" prairie point stencil. Video demo on how to make continuous prairie points using 2 different fabrics. Video on gluing your quilt binding - NO hand sewing! A fun and easy purse to make using the 3” prairie point stencil. 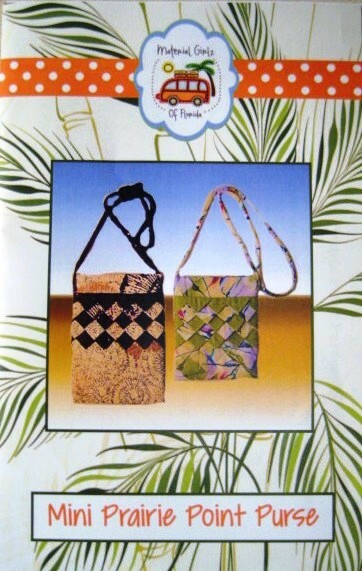 This pattern includes two size options – a great purse for shopping or an evening out! Quick and easy to make with a snap closure. Uses the 3” Prairie Point Stencil. 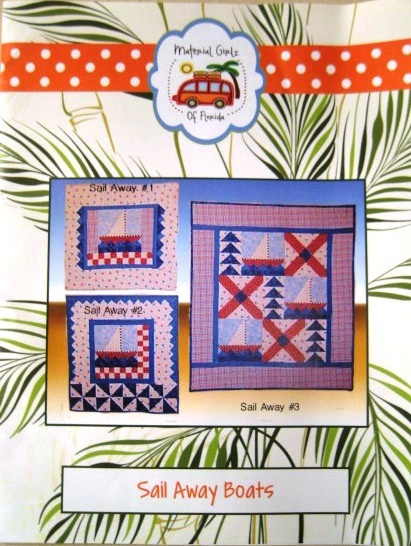 This is a fun and easy paper pieced pattern that includes instructions to make all three sailboat wallhangins. Also included are the paper printed sheets to make all three wall hangings. Uses the 3" Prairie Point Stencil. 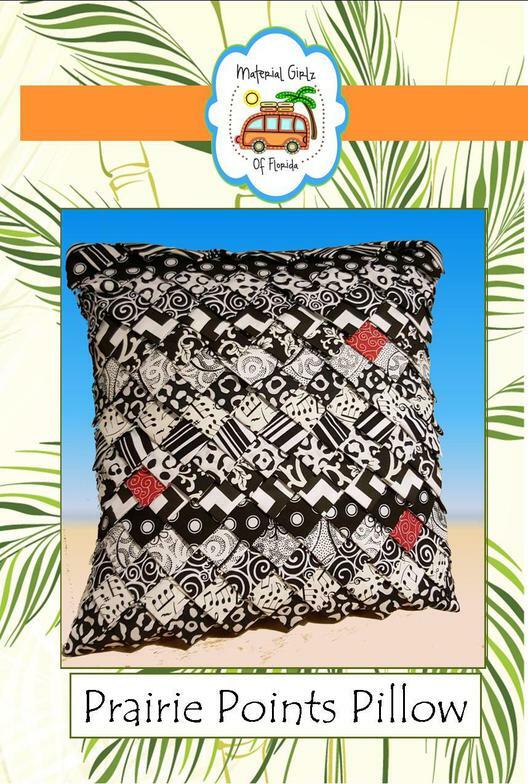 This fun pillow is a great decorating touch for any room! 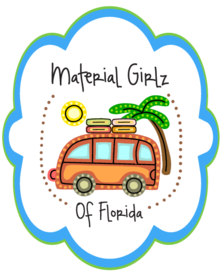 It looks like a lot of work but is really simple using the 3" Prairie Point Stencil.